The Stairstep handcut open top shape wall sconce with the Phoenix is a magnificent desgin to accent any garden area. Shown here in our Copper Moss Agate finish color. 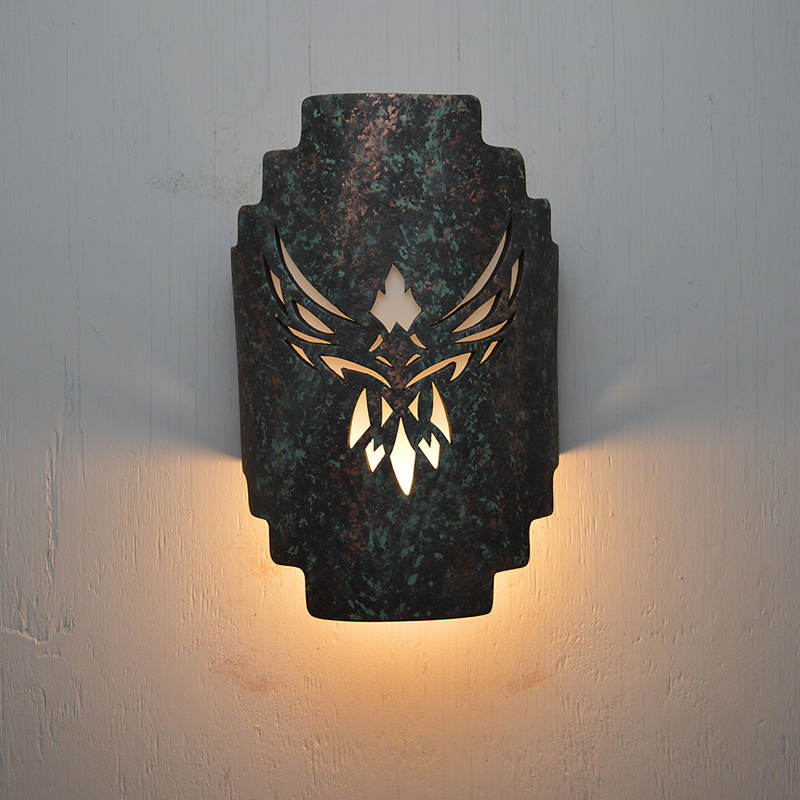 The Stairstep handcut open top shape wall sconce with the Phoenix is a magnificent desgin to accent any garden area. 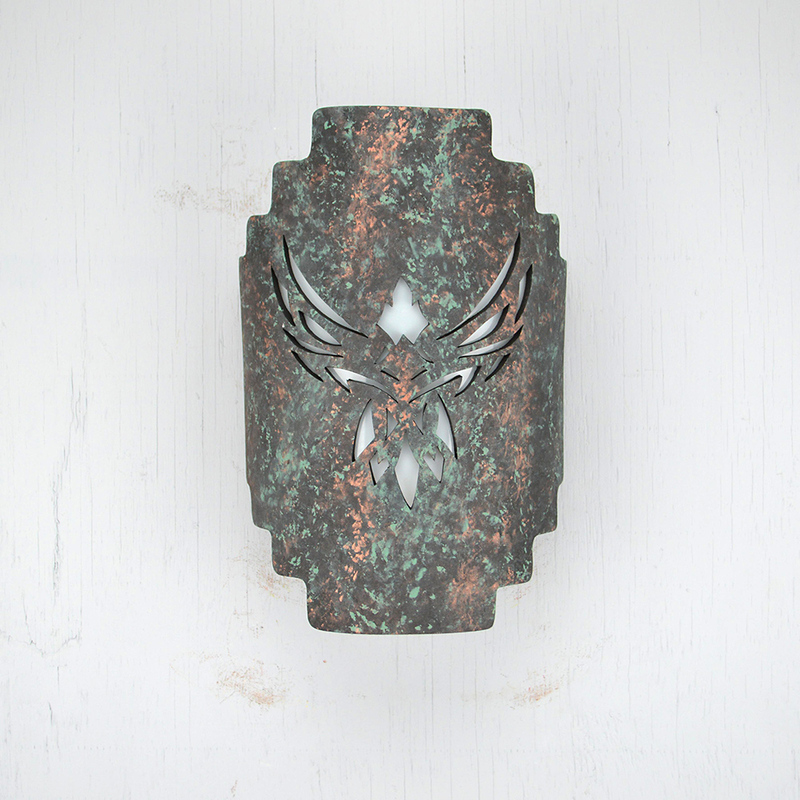 Shown here in our Copper Moss Agate finish color. 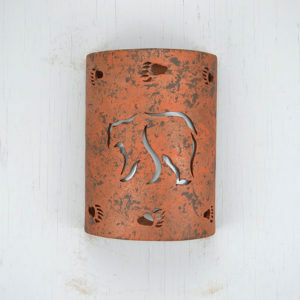 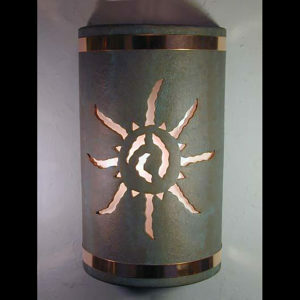 This design can be used to light and accent the front or back of any home, pony wall or court yard. 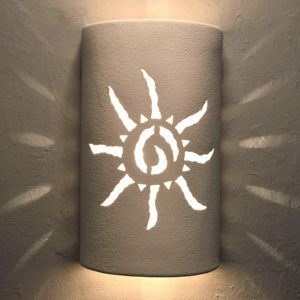 This light is wired for the indoor or outdoor. 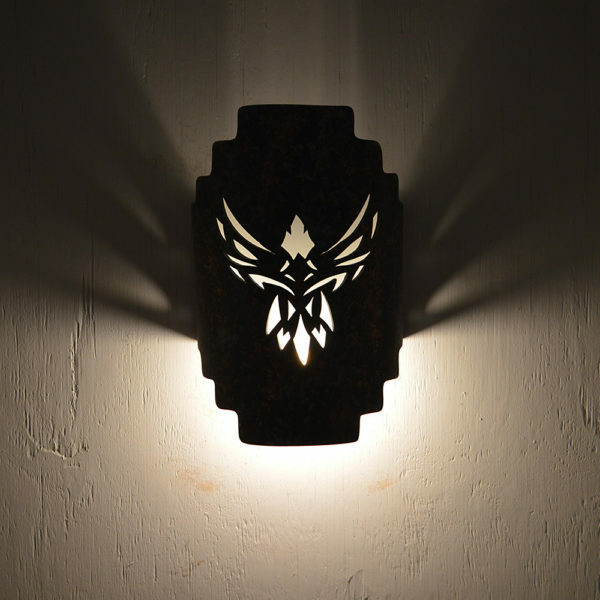 The Phoenix is an eagle that rises from the ashes to be reborn, and a design that will fit any style decor.